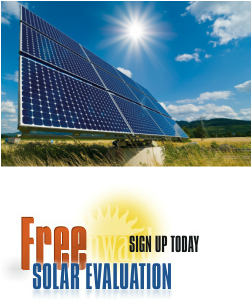 Installing a residential photovoltaic solar energy system has many advantages. Many people choose to install solar photovoltaics (PV) to become energy independent, to help preserve the earth's finite fossil-fuel resources and reduce pollution. Solar power is cheaper now. New production techniques are making it much quicker, easier, and cheaper than ever before to produce solar cells. A report by the Solar Energy Industries Association, US Solar Industry Year in Review 2009, found that the costs of PV has fallen from more than $6 a watt in 1980 to between $1.85 to $2.25 per watt in 2009. Buying a solar energy system is a powerful and direct way for you to help protect the environment, and make a long-lasting commitment to the planet's future. However there are many other advantages as well. Modules and Microinverters are guaranteed for 25 years. Current Federal tax incentives give you an additional 30% off (consult your account for details). Solar energy also makes financial sense by pre-purchasing electricity to help stabilize utility bills. With net metering you actually spin your electric meter backwards. Solar energy emits no toxic carbons. No day is a bad solar day with Solar! Solar panels are extremely reliable because they have no moving parts. You will generate electricity every day!